Tallinn Olympic Casino Eesti AS is a leading provider of casino entertainment in Estonia, operating casinos in Tallinn, Tartu, Pärnu, Narva and Jõhvi, as well as two international casinos in Tallinn and Tartu. The company began its operations in 1993 and is currently employing nearly 500 people in Estonia. Olympic Casino Eesti AS is a full member of the European Casino Association and a major sponsor of the Estonian Olympic Committee. 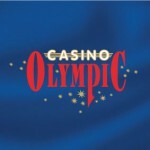 Olympic Casino Eesti AS is a subsidiary of Olympic Entertainment Group. The Group operates in Estonia, Latvia, Lithuania, Slovakia, Italy and Malta and employs more than 2,200 people.